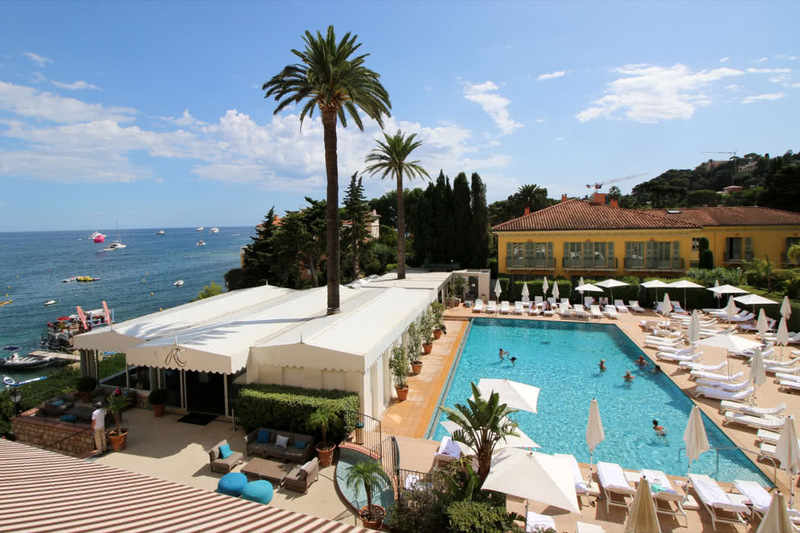 Hotel Royal Riviera, a member of Leading Hotels Of The World, sits on the Beaulieu-sur-Mer side of the glamorous St-Jean-Cap-Ferrat peninsula on Côte d’Azur in France. We are regulars at this hotel and every time I stay, my in-head juke box starts playing Charles Trénet’s ‘La Mer’. It’s that kind of place. 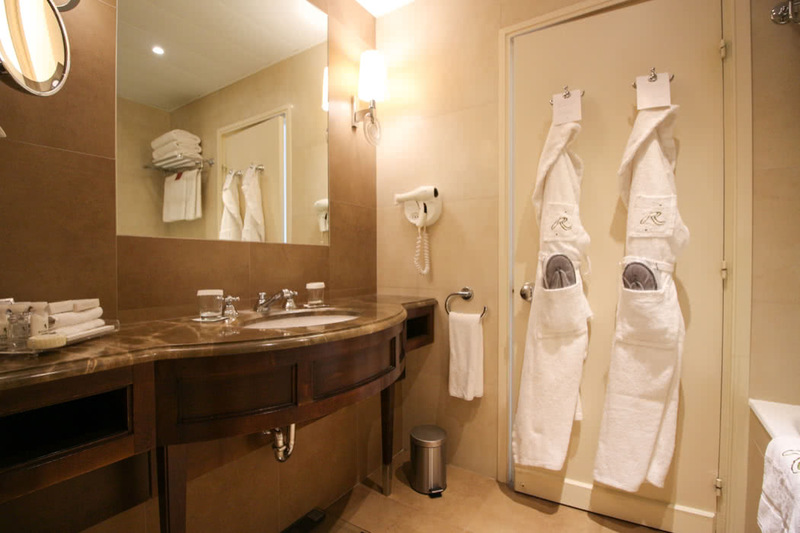 Step inside the main doors and you enter a hotel that is exactly what you would expect from a luxury hotel on this enchanting coastline. 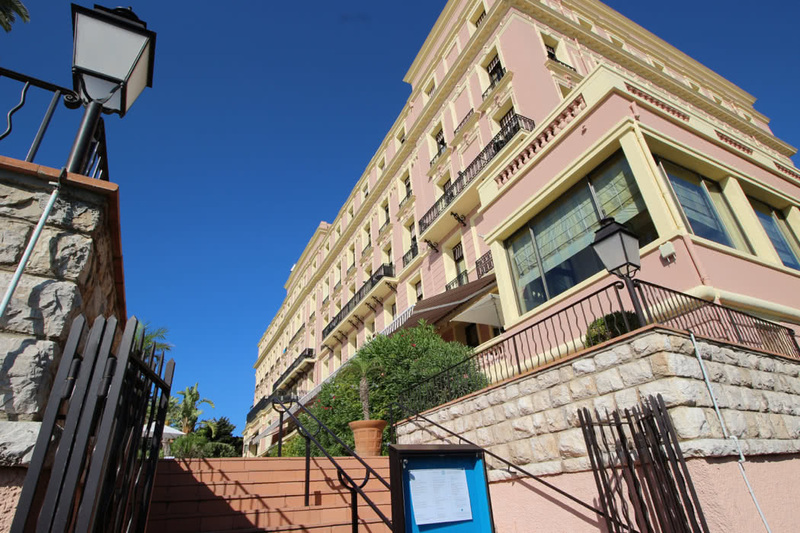 As you arrive, you may recognise the Casino in Beaulieu as one of the locations for the 1988 film “Dirty Rotten Scoundrels”, where Beaulieu-sur-Mer was depicted in the film as Beaumont-sur-Mer. Today, this small town, situated conveniently around the corner from Nice, remains as elegant and stylish as it ever was. I particularly love this location because of the little path that winds around the waterfront of the St-Jean-Cap-Ferrat peninsula. 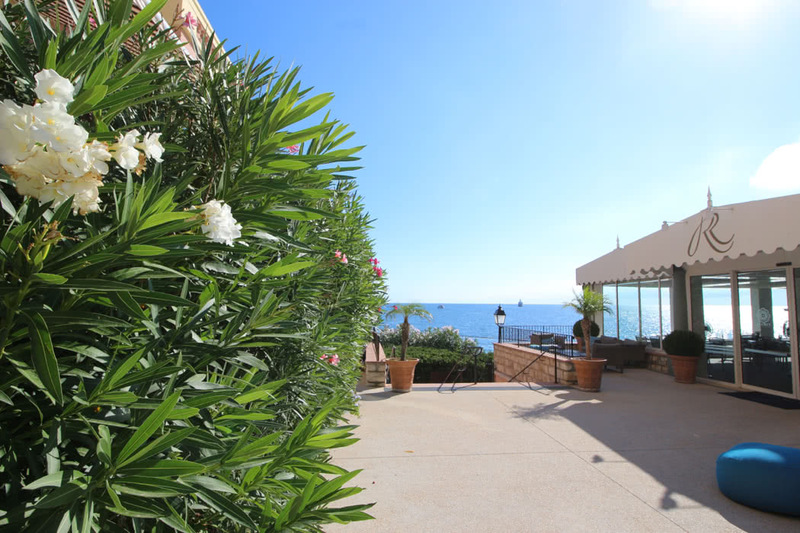 You can walk for miles, with the sea sloshing to one side of you and expensive mansions to the other and you can access this path directly from the pool area of the Hotel Royal Riviera. 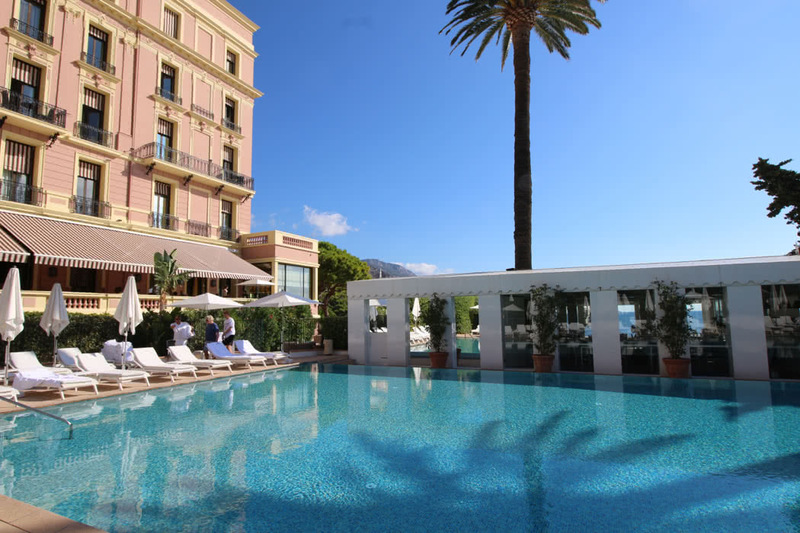 Hotel Royal Riviera has the most marvelous pool, which is the perfect depth for children to play in without drowning (perhaps a meter in depth for at least half of the pool). 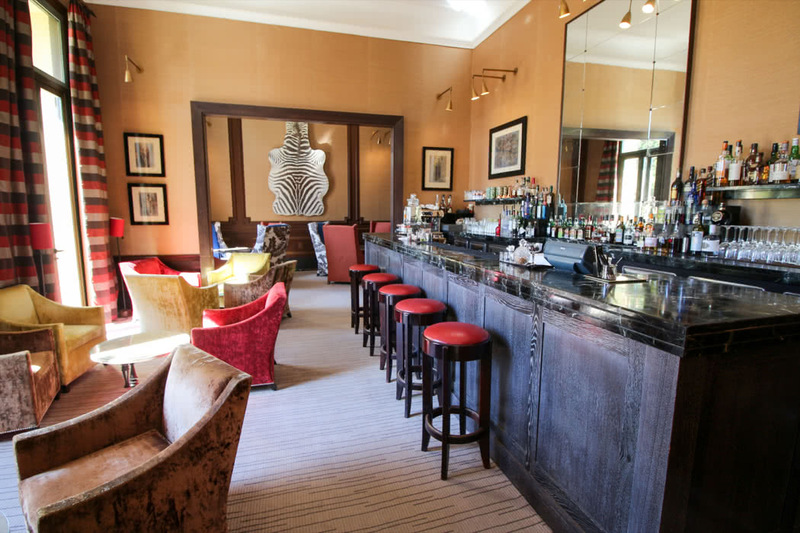 Yet the pool also maintains a balance of sophistication, with comfy lounges which are regularly attended to by the pool staff, for adults who want to laze under the warm French sunshine and perhaps enjoy a glass of wine whilst reading a book. The hotel has superb tropical gardens full of scents and flowers that are more reminiscent of the Caribbean or Hawaii than Europe. It has rooms that sit behind a sunset-pink Belle Époque facade and offer stunning views across the pool to the sea beyond. Best of all, unlike most of the luxury hotels on the French Riviera, this one even has its own beach. 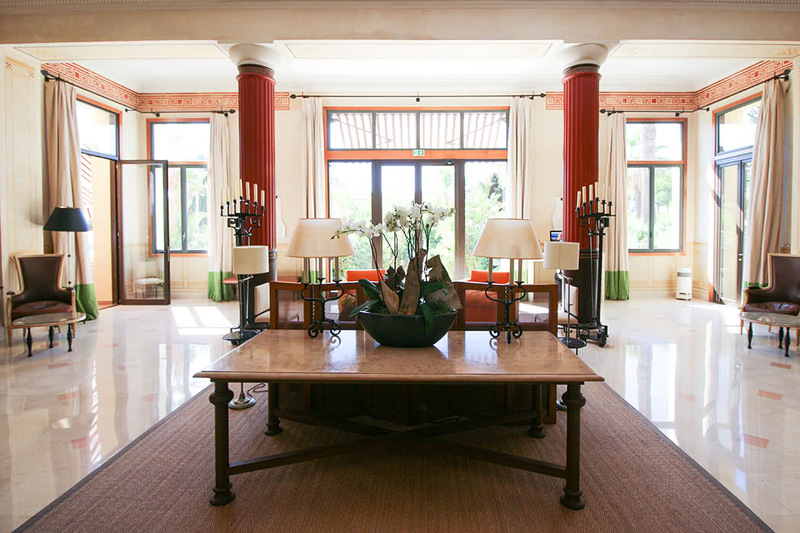 The foyer of the Hotel Royal Riviera is stylish and airy, the bar is decorated in dark woods and in the summer you can take drinks out on a little terrace surrounded by palms and banana trees. 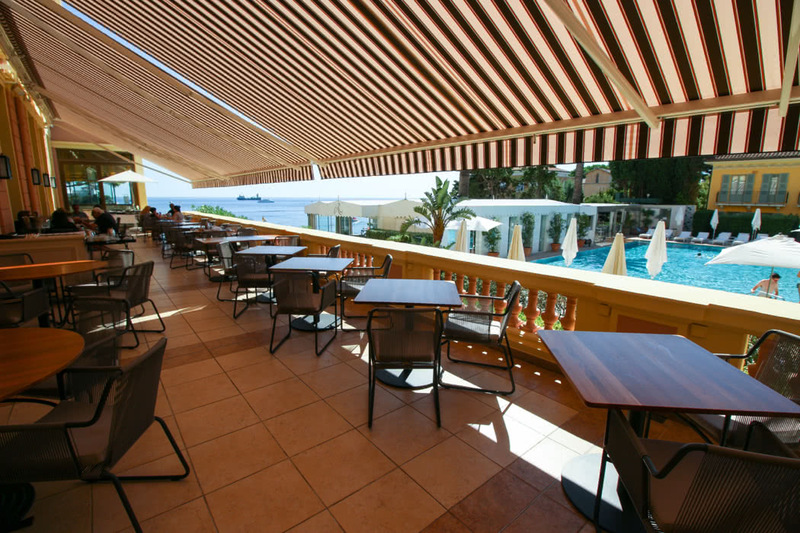 The restaurant, at least in the summer, is all about the terrace with the sea and pool views. There is also small spa, seating under trees in the gardens and of course the pool and superb private beach, which has sand shipped in each year to cover the more gritty natural beach beneath. There is also a watersports centre near the beach if you want to indulge in a spot of jet-skiing. The pool stays open all year round (except 15 Nov – 15 Jan each year when the entire hotel closes for the winter) and is heated to 28’C so can be used even in the colder months. 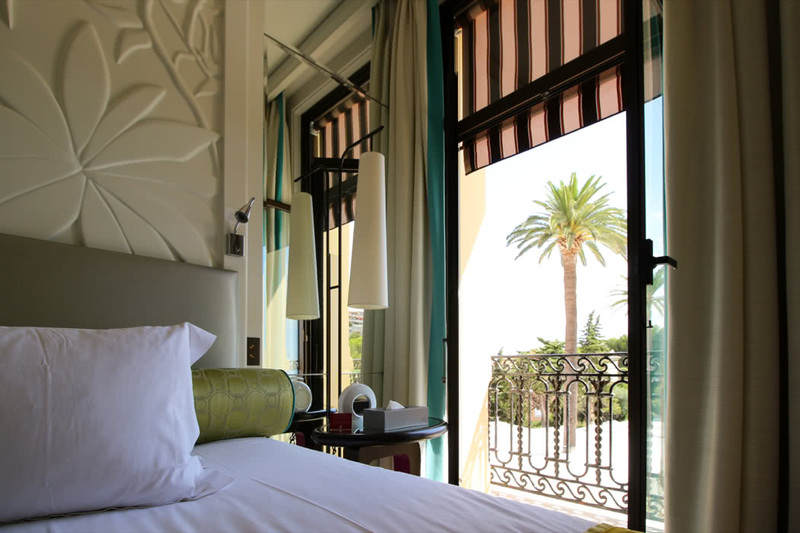 Rooms in the main building at the Hotel Royal Riviera have an art deco feel with Romeo and Juliette balconies. 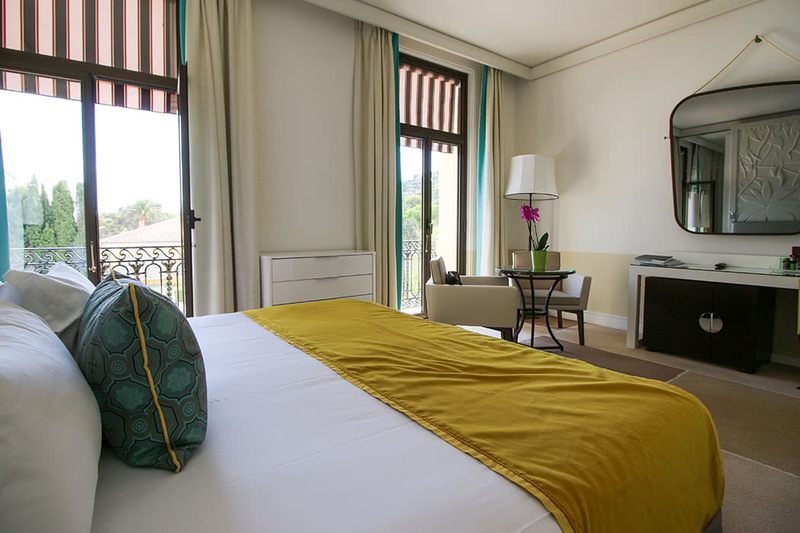 We recommend the rooms overlooking the pool as you can see exactly what is going on and you can decide where you want to select your lounger before popping down. Although these rooms do not have direct access to the pool, they are in such close proximity to the pool that they feel like they do! There are additional rooms in the Orangerie building which have views over the pool or over the gardens. Some open right onto the garden which is rather nice and the rooms in this building are decorated in blues or oranges. Every guest at the hotel is given an orange room or pillow fragrance that smells lovely and is meant to help you sleep which is a nice touch. For me, beyond days lounging by the pool, one of the biggest joys at this hotel is taking breakfast on the large terrace overlooking the pool. If you get a seat at the end you are also right by the sea. There isn’t a better way to start the day. The breakfast buffet itself is extensive with everything you would expect from a hotel of this calibre. The terrace is also where evening meals can be taken, but at night the view changes to watching the moon reflecting off the Mediterranean sea. 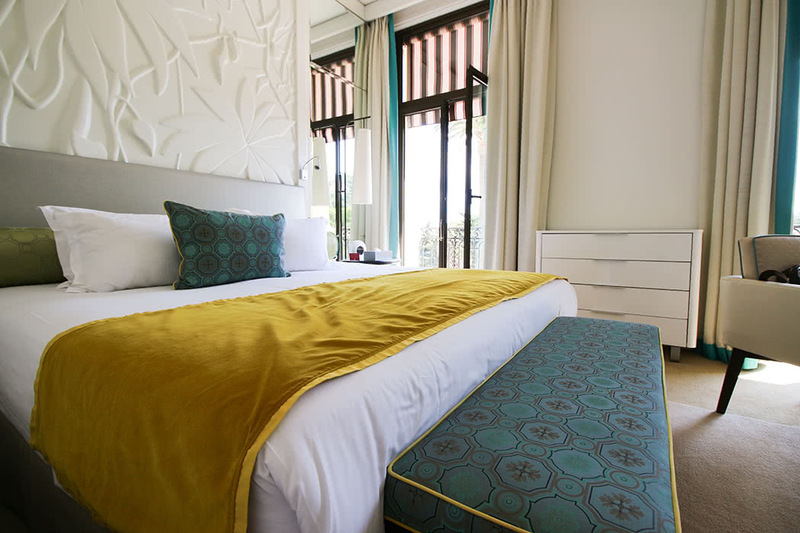 It is worth mentioning that if you book through our Virtuoso luxury travel concierge you will benefit from a free gift of a massage valued at close to 100€, along with the room upgrade, early check-in and late check-out and complimentary breakfast on that lovely terrace. 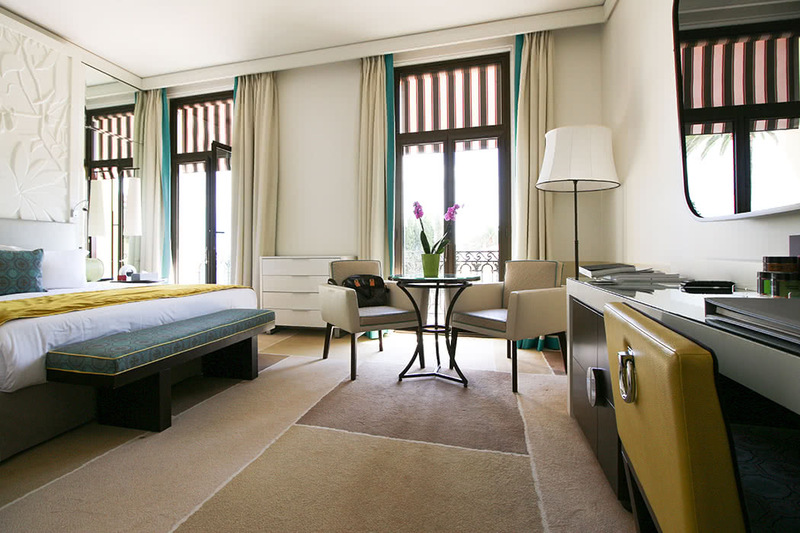 The Royal Riviera Hotel could not be more perfect for a weekend break. 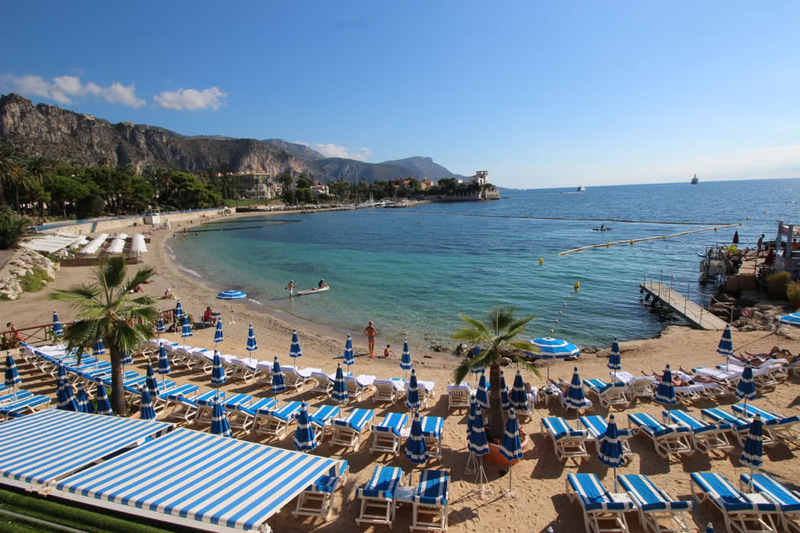 At around 30 minutes from Nice airport (around 50€ transfer each way with blacklane), it is easy to get away for a weekend of sunshine and sophistication.